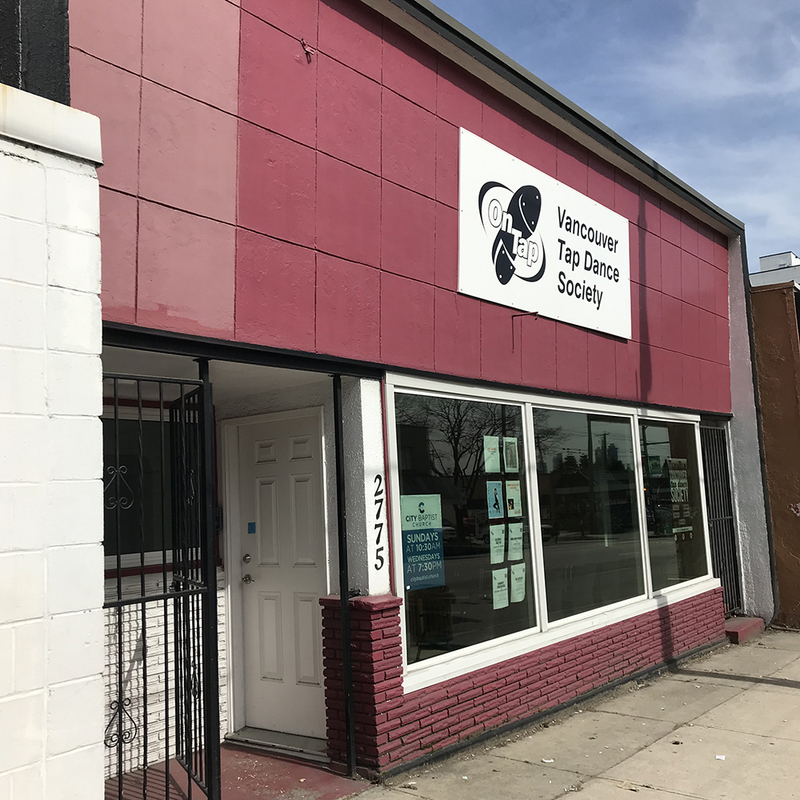 Located in the heart of the Hastings-Sunrise area of East Vancouver the VanTap Cultural Arts Center is home to the VanTap Academy, TapCo, and the offices of the Vancouver Tap Dance Society. We have two great studios outfitted with professional sound systems and floors specifically designed for tap dance. Our Maple hardwood floors are great for other percussive dances as well. Check out our rental rates here. By Bus – take the 14 or 16 to Kaslo Street or the 95 to Renfrew Street. Street parking is available on East Hastings Street during certain hours of the day, as well as on side streets in the area. Please note: Parking in the parking lots of neighboring establishments is not available and subject to towing.